A champagne grape-infused lip vinyl with a shimmery wash of lust-worthy, sheer-coverage color. Satisfy your lip gloss craving with Marc’s lighthearted, champagne grape-infused lip vinyl. This lightly pigmented, plumping formula is infused with antioxidants, essential oils, and a hint of effervescence for a perfect pout with the highest shine. The patented, pillowed applicator glides on the lip vinyl for precise application with a shimmery, lust-worthy finish. I purchased three Marc Jacobs Lust For Lacquer Sheer Lip Vinyls during Sephora's pre-sale of a few select Marc Jacobs beauty items. Read more about the pre-sale here. The entire collection is now available (as of August 9th) at all Sephora stores and online at Sephora.com. 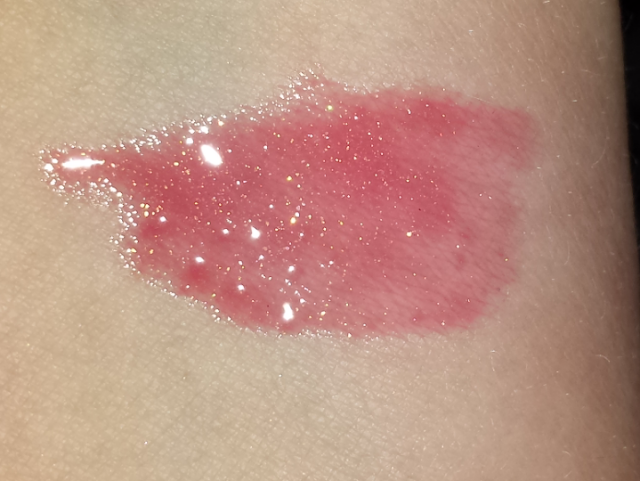 The glosses retail at $28.00 for .16 oz and at this time there are a total of six glosses available. I purchased three of the glosses: 302 Kissability, 310 Studded Kiss, and 312 Lust For Life. 302 Kissability is described as a shimmering lilac pink. 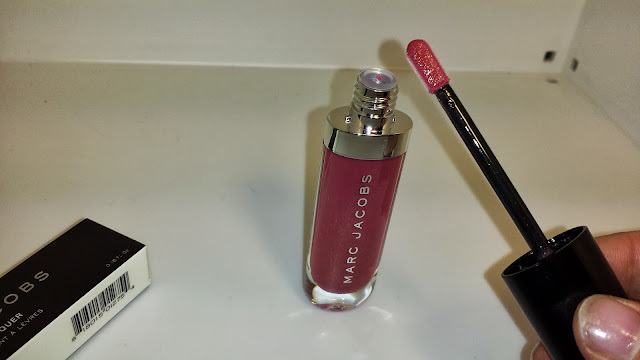 It is a rather sheer gloss but it deposits enough color that it could be described as a "my lips but better (mlbb)" shade. 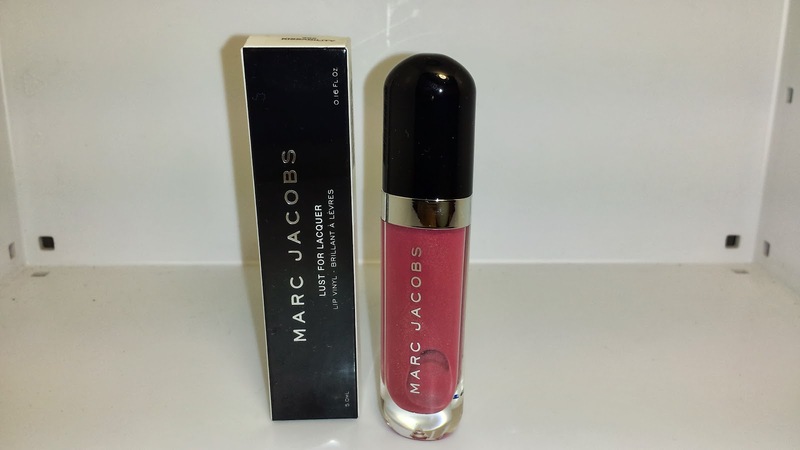 There is a faint sweet candy scent to the gloss but it isn't anything overpowering. Once applied the gloss leaves behind or has a slight minty feel on the lips almost similar to a lip plumper. 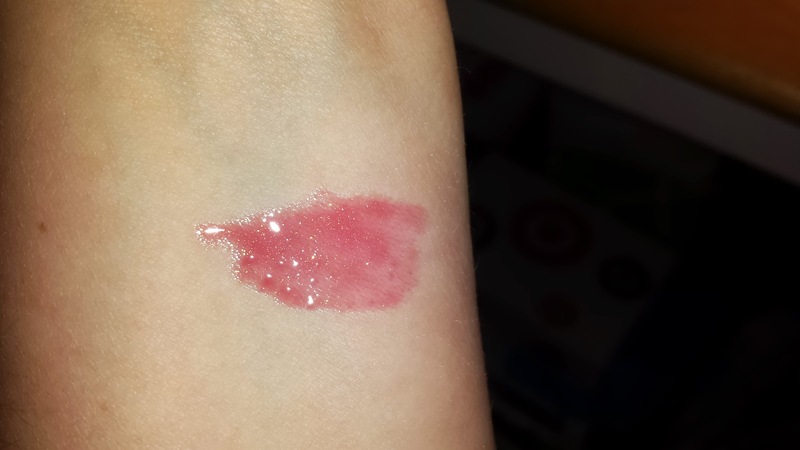 The gloss lasted two to three hours wear time and it didn't dry out my lips but there was slight shimmer residual left on my lips afterwards.